Best Of Request Volume One collects the majority of the warmup drawings, silly doodles, drawing requests and original stream content from Eryck Webb Graphics 'Drawing Request Show' on Twitch in the 2016 stream year in a printed digest size book! Look for Volume 2 in 2018! - The best of the drawings from the 2016 twitch stream requests. 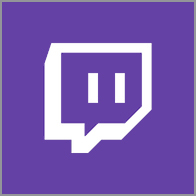 - A collection of 'go live' drawings and photos as well as a shout out to top supporters. - Thoughts and commentary on the drawings and 2016 request stream experience throughout the book by Eryck Webb. You can still purchase the digital edition in the shop. 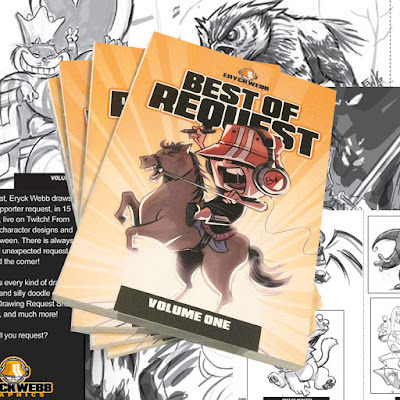 Stay tuned for future reprintings and the new book, Best Of Request Volume 2 in 2018! Go checkout the EWG Shop!